On March 20th, 2018 the annual ceremony “Tourism Awards 2018” took place to recognize excellence and award prizes to companies that operate within the Tourism Industry in Greece and manage to distinguish themselves either for coming up with innovative services, or for enriching the product (or service) offering in their sector, or for managing to elongate the tourism season. 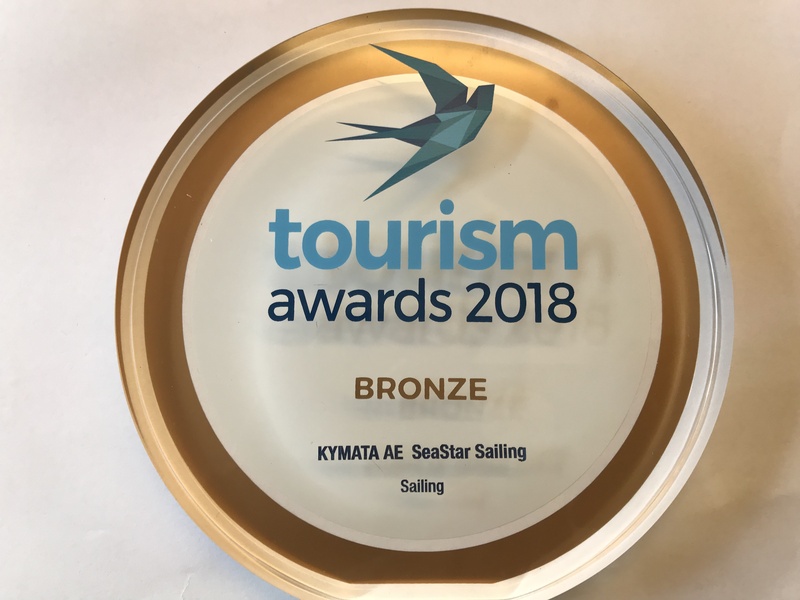 Four companies received an award in the “Sea Tourism” industry segment and SeaStar Sailing was among them with a bronze medal for the “Sailing” category. This award comes as a result of various actions by the company to enrich the experience of customers who charter a sailing yacht for their holidays in Greece. Keeping in mind the company slogan “Memorable Holidays in Greece”, new ways are relentlessly sought to make it a reality for all customers who select and trust the company for their holidays.